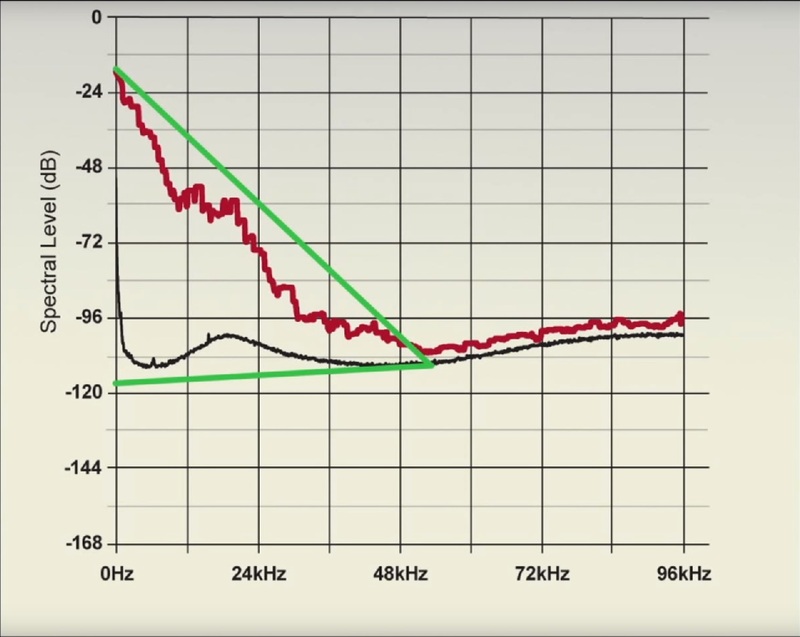 MQA is exactly the opposite all data is present, with the right equipment it plays the highest possible quality. Odd, you appear to be saying that because some Hi Res is upsampled 16/44, that is support for the existence of a DRM, proprietary encoding like MQA? How is that? 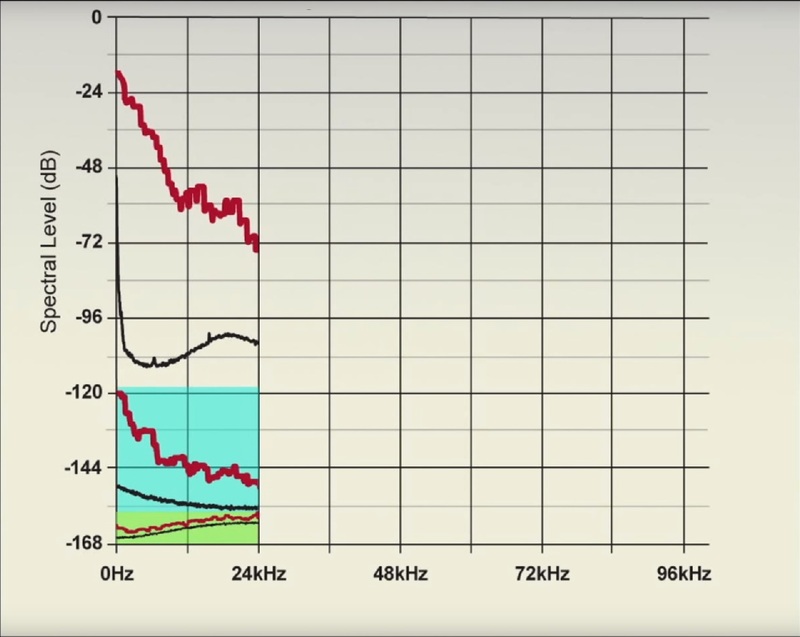 Sorry, but than you don’t understand Mp3 ‘‘perceptual noise shaping’’ the data simply is not there anymore, you can’t play somthing that’s not there so you can’t hear is either if you want to. Exactly. Why would I want to take non lossy (an in any form, 8 bit video game music, 16/44, Hi Res) and process it with a lossy encoding like MQA? 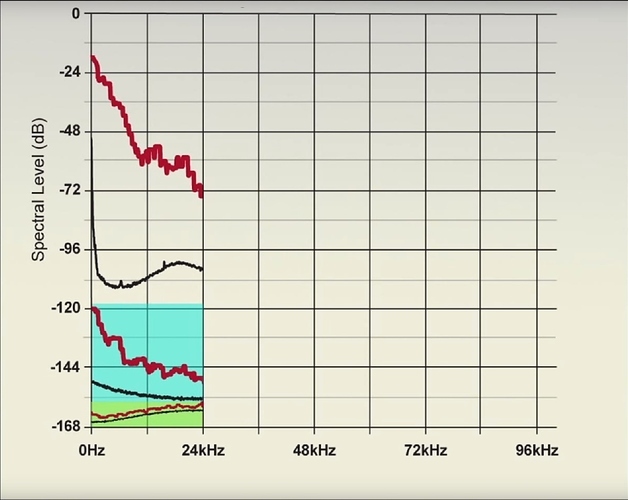 If it is about the audibility, why not standard 16/44 which uses less bandwidth than MQA? With QMA you shorten the time resolution, thats someting else as lossy. Up-sampled audio files have been sold as Hires audio files while they are not, with MQA that’s not ‘‘yet’’ possible. Of course it is. Indeed, with the massive batch processing of regular PCM over at Tidal into MQA, it has probably already happened several times over. Not sure how these plots from MQA Ltd. are relavant. 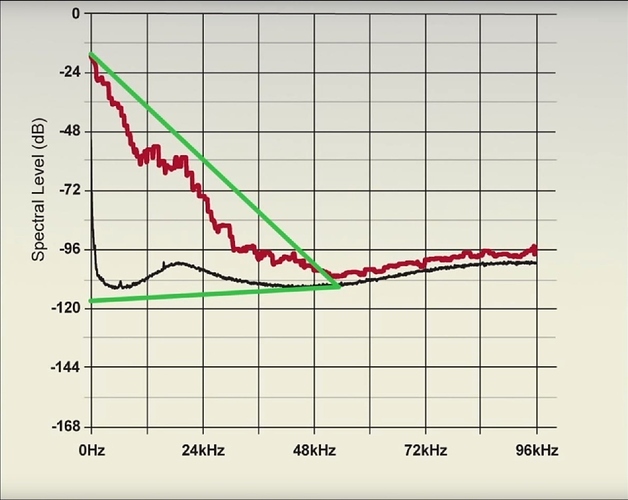 You mention “time resolution”, how are the out-of-phase filters used by MQA enhancing “time resolution”? How are you using the term? Could you provide some credible evidence for this please? That is, of course, if any exists? Sure. First, where are the upsampled 16/44 albums that are sold as “Hi Res”? This isn’t a game of ‘show me yours, and I’ll show you mine’! You made a claim about batch-processing of PCM files into MQA, by Tidal. I’m not aware that situation exists. If you have evidence to the contrary, back up your ‘claim’ and justify your claim please. Of course it is a game of ‘show me yours, and I’ll show you mine’ - that’s exactly what proprietary-hide-behind-NDA software is about! Yes, MQA files are batch processes from PCM into MQA - that’s how software works. There are now over 10,000 tracks of MQA on Tidal, with more (I don’t know the exact number) be added every day. Stop trying to deflect and change the subject. As I have already requested, please provide clear evidence that Tidal ‘batch processes PCM to MQA’, as you seem to assert. With a lack of any such evidence, your claim is spurious, and false. It’s as simple as that. No, it’s true. That’s how software works. MQA is just software, an encoding. All this is self evident, it’s fact. edit: explain your notion. How do you believe a PCM file gets encoded to an MQA file? What do you believe software is, and what a computer/digital device is and how it works? It’s only true, with evidence. Where exactly is your evidence that Tidal ‘batch processes PCM into MQA’? Where? Show us? Enlighten us. Prove your assertion is correct. Share a document. Share a link. The evidence is that there MQA exists…is yours a metaphysical argument? Have you played MQA from Tidal? It exists, I assure you - how do you believe software “comes into existence”? We all know how MQA files/music is produced. That’s not the issue here. So show us the evidence that this indeed happens! It’s a simple request really. I’m not aware that situation exists. I wouldn’t trust @crenca on this. He’s a known MQA critic. I would, however, trust Mike Jbara. You could also take it from Jason Serinus, a man known for his deep love and understanding of all things digital, and whose copy/paste abilities are unimpugnable: "From Michael Nash, EVP, Digital Strategy [at UMG] “We have tens of thousands of songs available in Hi-Resolution Audio, with a near-term goal of seeing that rise to more than 100,000 tracks. MQA has already begun the process of encoding those songs and providing them to services that license their platform.” - doesn’t exactly sound like a very careful process to me, closer to lame -V0 umg_catalog.wav umg_catalog_mqa.mp3, but, hey, to each their own. You could also listen to Bob and Mike’s favourite analyst / fanboy, who informed the world that “MQA offers a cloud service so the studios can batch process files that way.”. I also seem to recall that there were a few comments by mixing engineers who’d had MQA versions of their work appear without having been consulted beforehand, early on. Can’t find 'em though, might’ve been on one of the longer threads on Computer Audiophile. Those two sentences don’t add up. How do you think an MQA file is “produced”? It’s software. 10,000 + albums (you can use Google to find various spreadsheets of them), dozens added every day = massive batch processing. Talk to your favorite IT support if you want to know more about how software and computers work. Those two sentences don’t add up. They don’t ‘make sense’ because you have deliberately truncated my quotes. Hence, that’s why that doesn’t indeed make sense.